Discover which messier objects are in the night sky; and when and how you can observe them. Discover which Messier objects are in the night sky and when and how you can best observe them. Find out when it is truly dark. 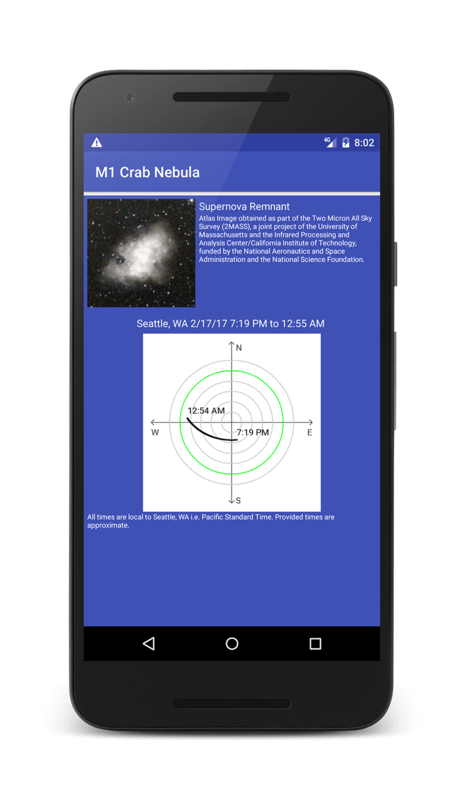 Locate the Messier object in the sky. Pick a location and date to observe. 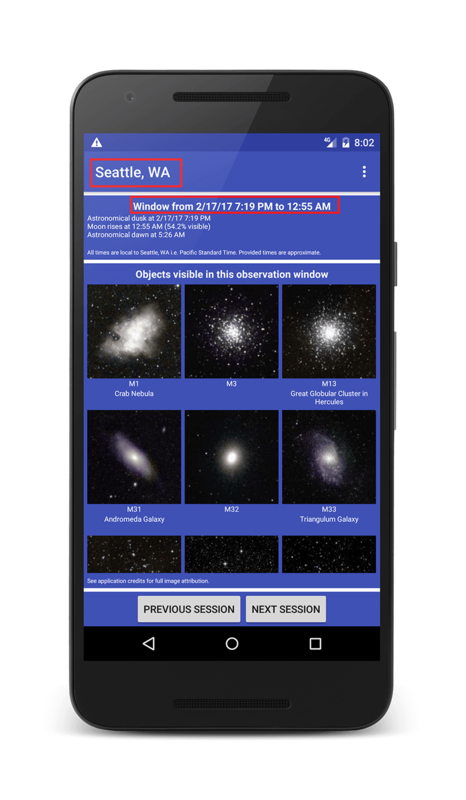 Discover which Messier objects can be observed at this time and location.